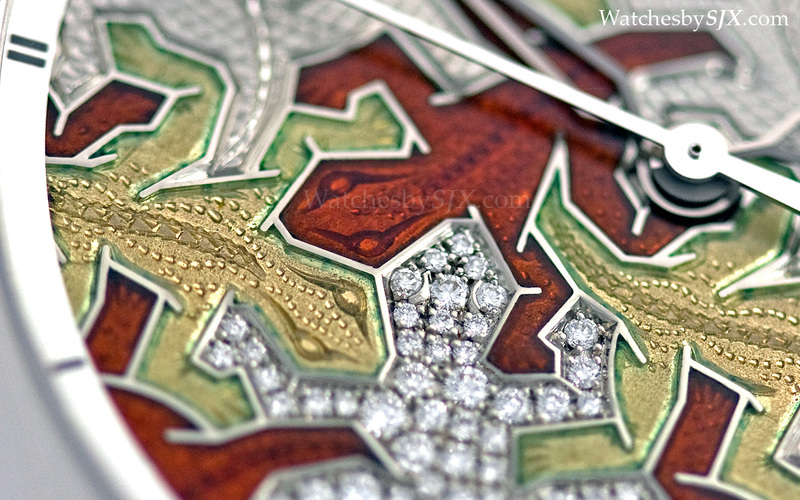 Inspired by the work of M. C. Escher, the Vacheron Constantin Métiers d’Art les Univers Infinis uses decorative techniques like enamelling and guilloche to create extraordinary dials with mesmerising, repeating patterns which only reveal their intricate detail up close. 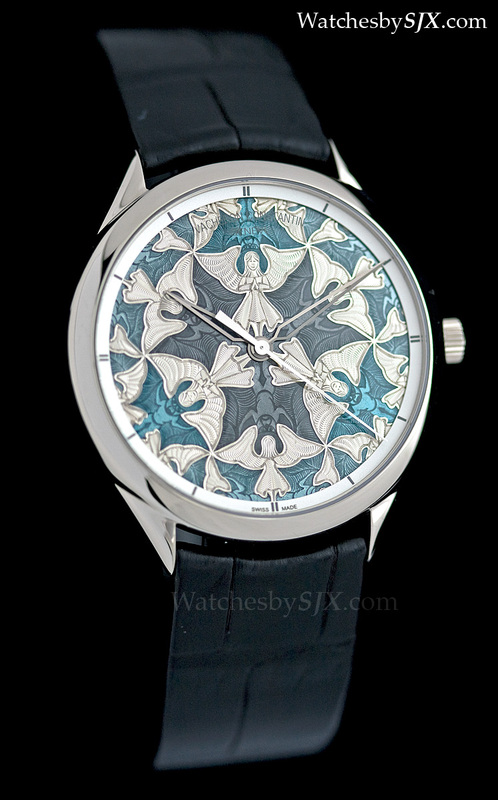 In the second series of the Métiers d’Art les Univers Infinis (‘the infinite universe’), Vacheron Constantin has combined various decorative crafts, including enamelling, guilloche, engraving and gem-setting, to create unusually hypnotic dial motifs. 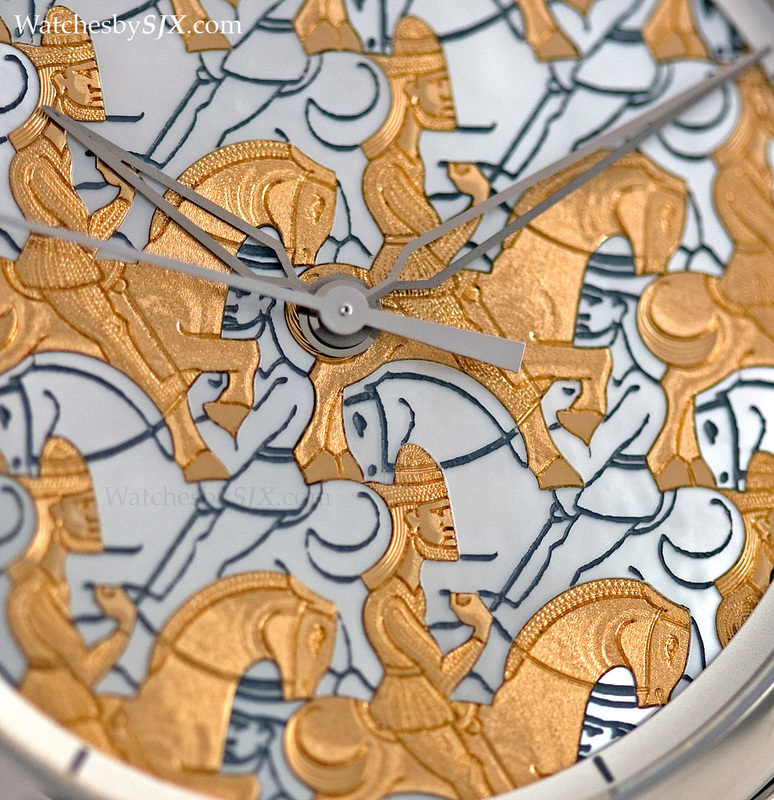 The repetitive patterns on the dials are known as tessellations, a repeated geometric shape, with no gaps or overlaps, tiled across the surface. 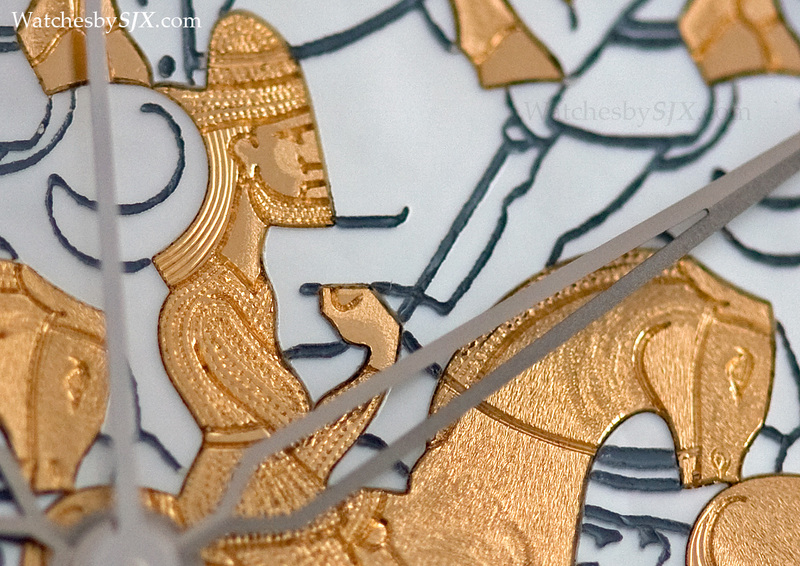 Tessellation was often used by Dutch artist M. C. Escher in his decorative graphics. 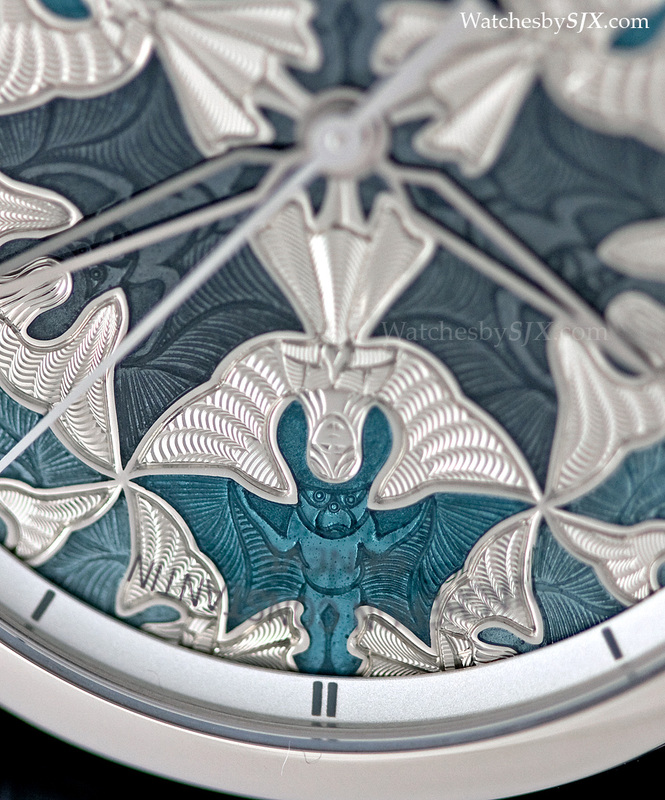 Each of the three Métiers d’Art les Univers Infinis watches has an elaborately decorated, solid gold dial. Though all the dials have the same shape repeated across its surface, each repetition of the shape is decorated differently. 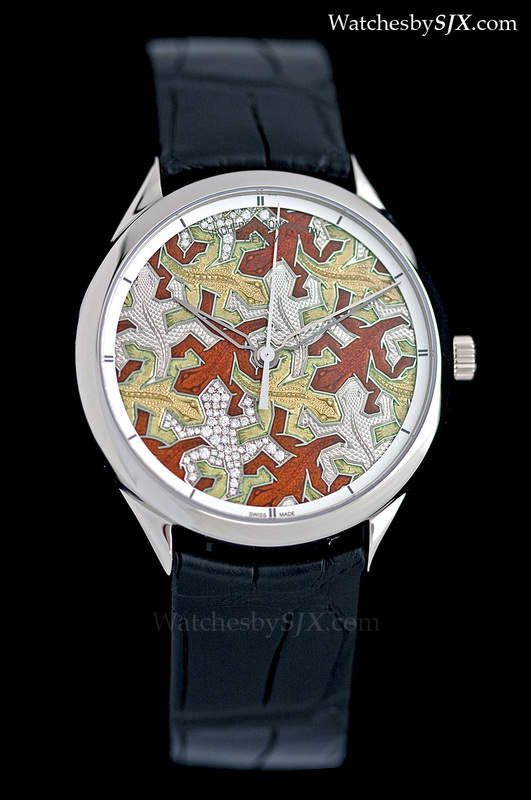 The first of the trio is the Lizard Watch, with brightly coloured lizards in a style reminiscent of Keith Haring. 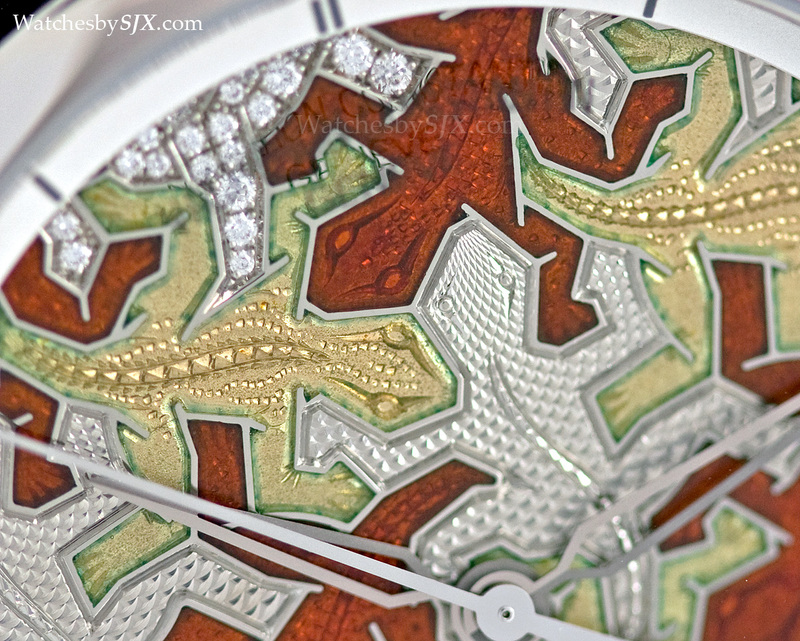 Using a yellow gold dial base, the individual lizard tiles are finished in three different techniques. 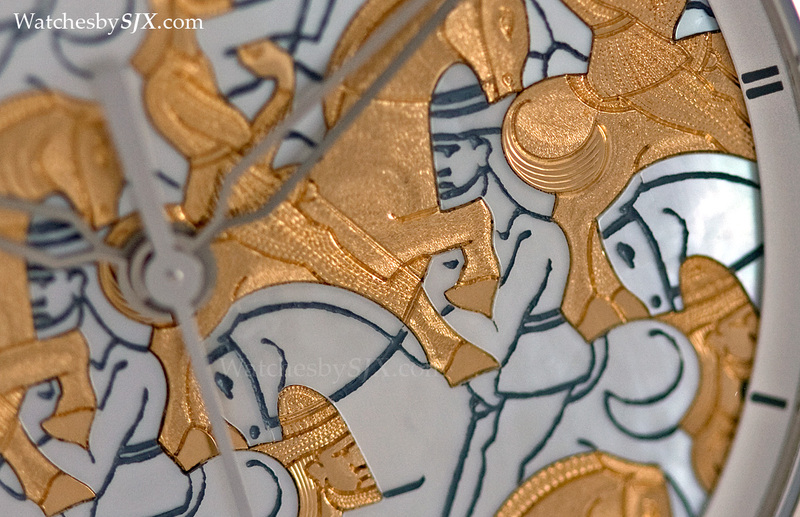 The first is translucent fired enamel, in either red or gold tinged with green, which goes over the hand-engraving of the lizard’s scales and eyes. 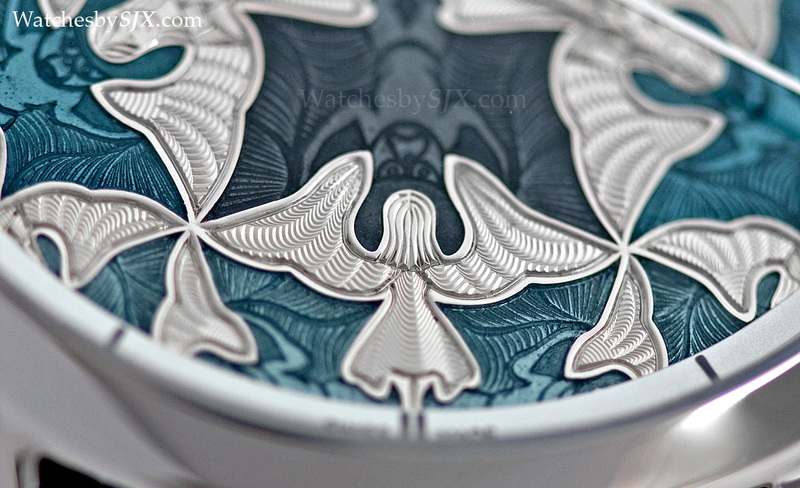 The second technique is guilloche, used to create the scales of the silver-toned lizards. 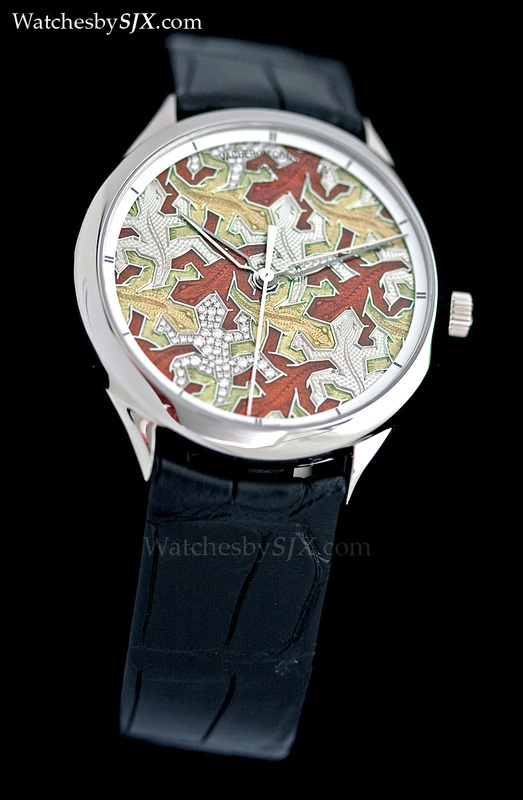 Specifically, a barleycorn guilloche is applied for the visual effect of scales. 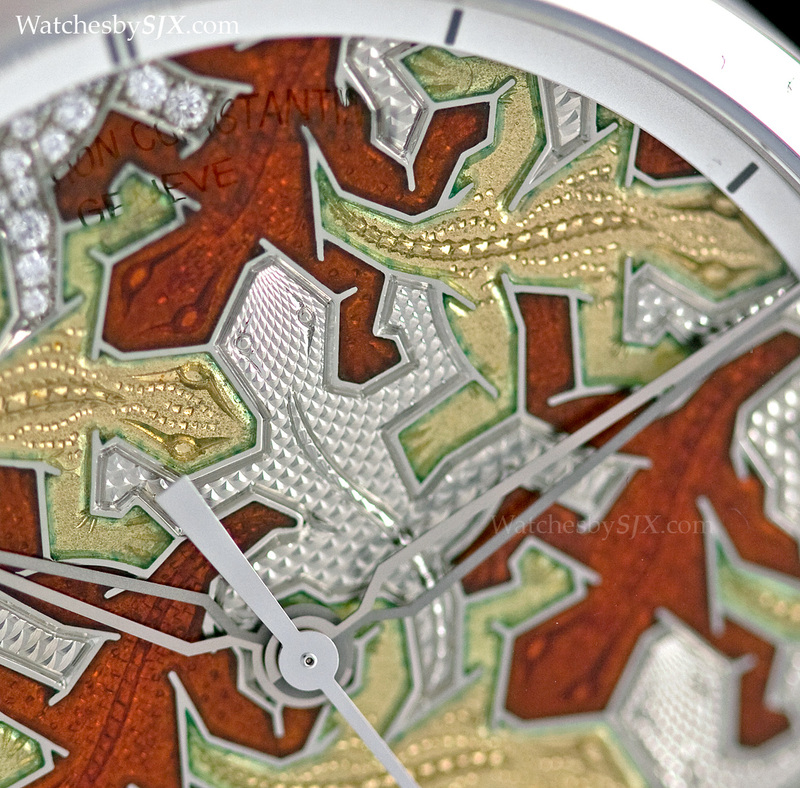 And the last is diamond setting, which is most obvious on the lizard at seven o’clock. 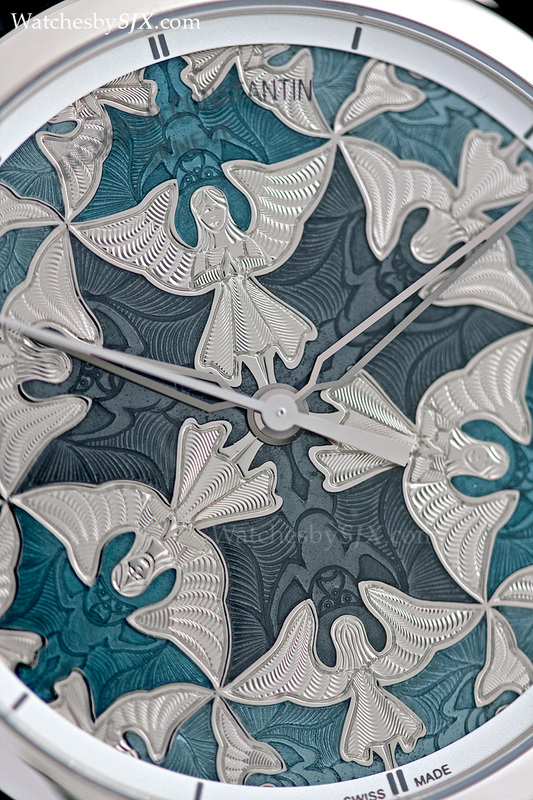 Second in the series is the Angel Watch. This depicts winged, long haired angels, and what are ostensibly demons, but instead resemble very cross bats. 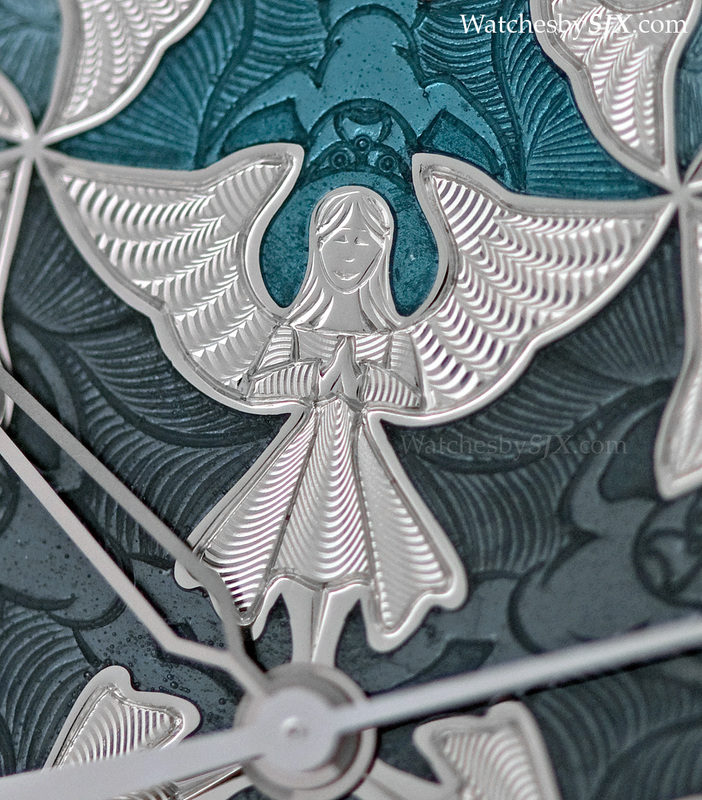 The demons, which are completed first, are covered with translucent green or blue enamel, fired over the engraving below. 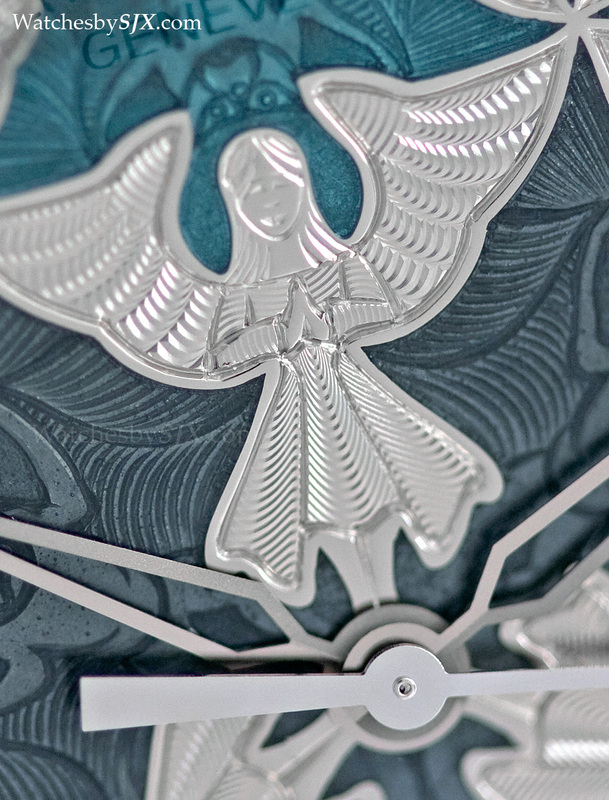 Then the angels, being in the light, are finished with guilloche, and then with hand-engraving to complete the detail of the face. 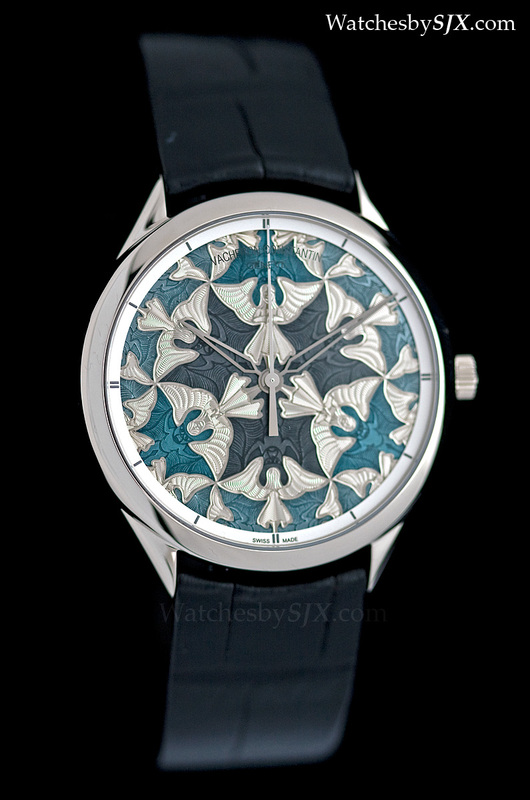 This is a delicate task for any mistake with the guilloche will forfeit all of the work that has already been completed. 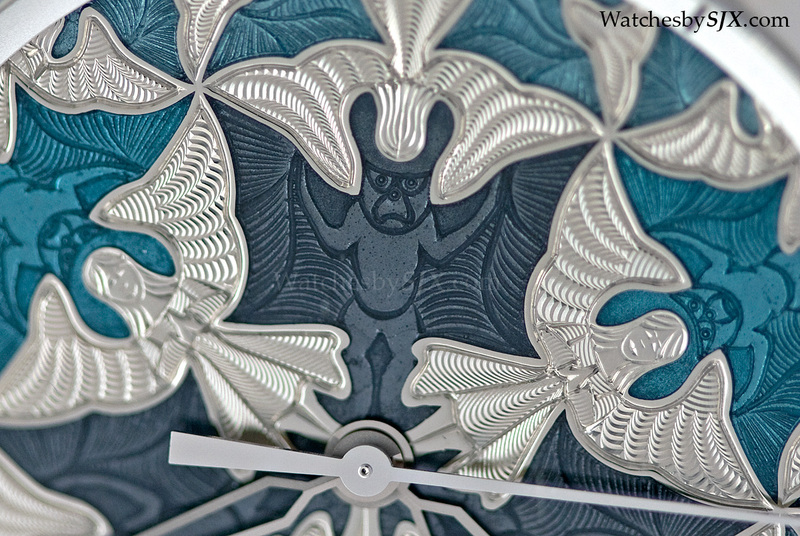 Because the motif is symmetrical from the centre of the dial, the Angel Watch is the most hypnotic of the trio. 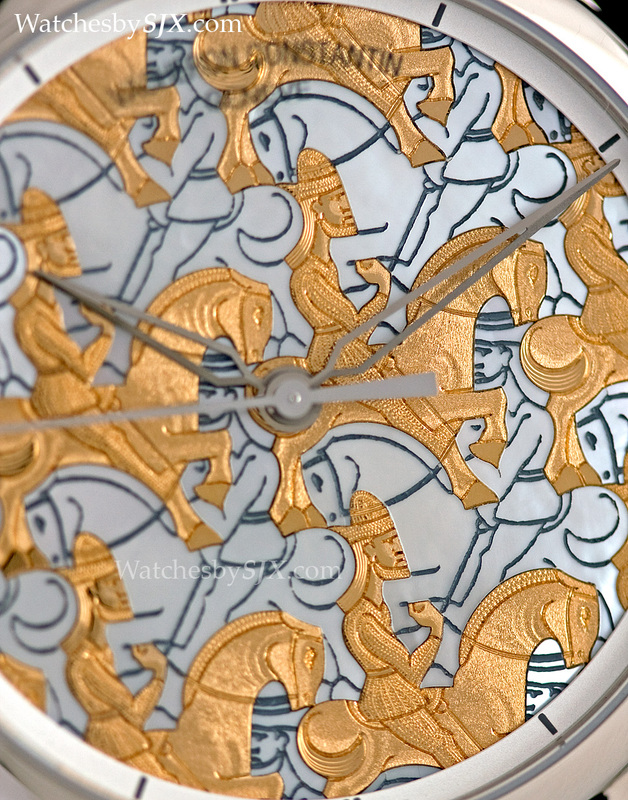 The last watch is the Horseman, which unlike the other two, is decorated with marquetry. 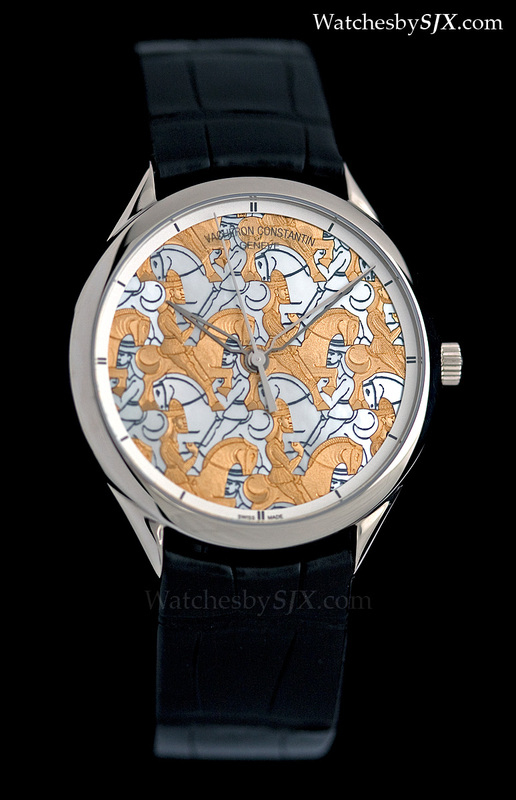 Individual tiles, either made from mother of pearl or hand-engraved yellow gold, are pieced together like a puzzle and applied to the dial base. All three models are limited to 20 pieces each. 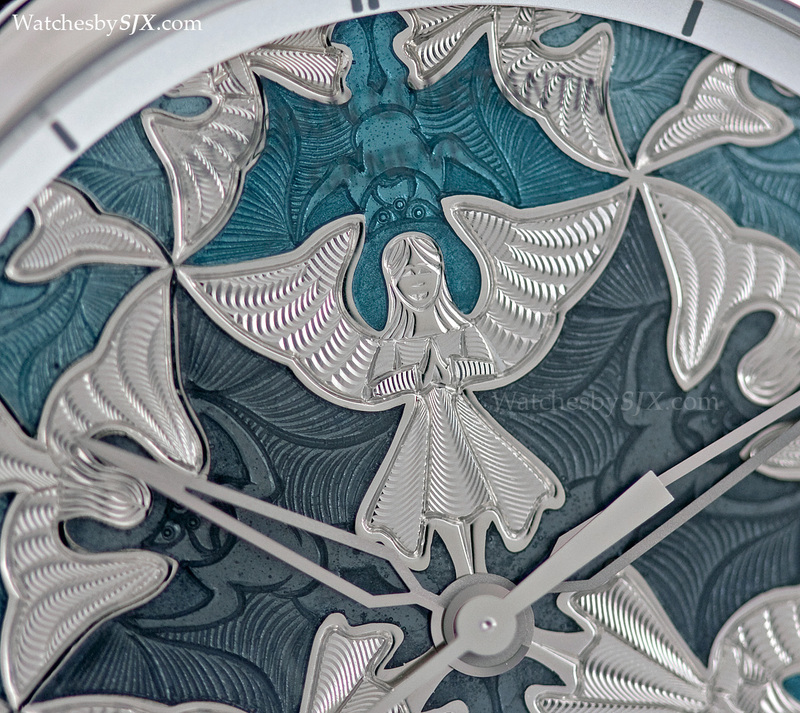 Each model uses the same 40 mm white gold case, and is equipped with the automatic cal. 2460 SC. 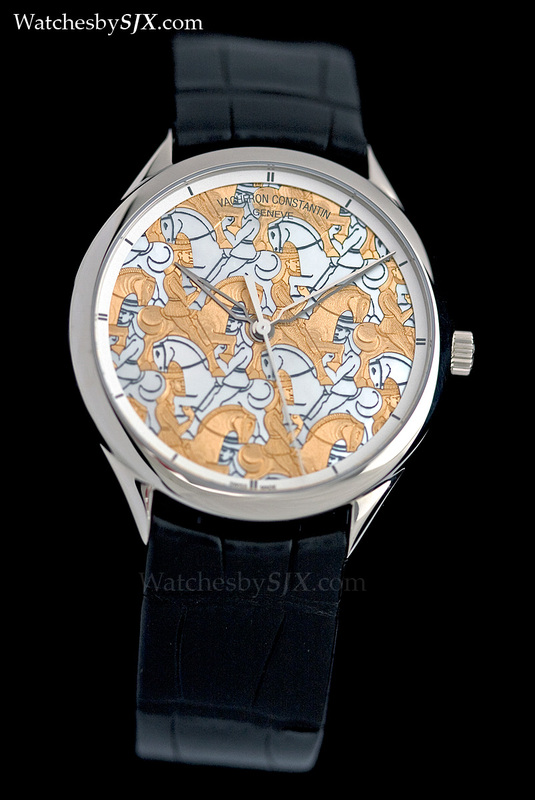 Each of the Métiers d’Art les Univers Infinis retails for a steep €110,000 before taxes, equivalent to about US$150,000. – SJX Follow us on Facebook, Instagram and Twitter for updates and news.